As 2017 winds down, it's time to consider making some moves to lower your federal income tax bill and position yourself for tax savings in future years. This year, the big unknown factor is whether major tax reform proposals will be enacted. Even if all goes according to the GOP timeline, the changes generally won't take effect until next year at the earliest. So your 2017 return will follow the current rules. Here are five year-end moves for you to consider as Congress works on tax reform. Tax reform considerations related to prepaid expenses.Tax rates would be lower in 2018 and beyond for most taxpayers under congressional tax reform proposals. If you turn out to be in a lower bracket next year, deductions claimed this year will be worth more than the same deductions claimed next year. Plus, the property tax deductions would be completely eliminated under the Senate bill. The bottom line is that, under both the House and Senate proposals, increased standard deduction amounts would offset some or all of the itemized deductions lost to tax reform, depending on your specific circumstances. In any case, prepaying deductible items before the end of 2017 will generally help lower this year's tax bill. But watch out for the alternative minimum tax (AMT): If you'll owe AMT for 2017, the prepayment strategy may backfire. That's because write-offs for state and local taxes are completely disallowed under the AMT rules and so are miscellaneous itemized deductions subject to the 2%-of-AGI rule. So prepaying these expenses may do little or no tax-saving good for AMT victims. There's mixed tax reform news for AMT victims. The House bill would eliminate the AMT for 2018 and beyond. (But, of course, that won't help for 2017.) The Senate bill includes a provision to keep the current individual alternative minimum tax (AMT), but with a higher exemption threshold. An earlier version of the Senate bill repealed the AMT. Mortgage payment for January. 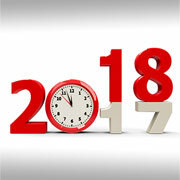 Accelerating the mortgage payments for your primary residence and/or vacation home that are due in January 2018 will allow you to deduct 13 months of mortgage interest in 2017, unless you prepaid for January 2017, in which case you'll have 12 months of mortgage interest deductions for your 2017 return. Medical and miscellaneous expenses. Consider prepaying expenses that are subject to deduction limits based on your adjusted gross income (AGI). For example, under current law, medical expenses are deductible only to the extent they exceed 10% of AGI. So loading up on elective procedures, dental care, prescription medicine, glasses and contacts before year end could get you over the 10%-of-AGI hurdle on this year's return. Likewise, under current law, miscellaneous deductions — for investment expenses, job-hunting expenses, fees for tax preparation and unreimbursed employee business expenses — count only to the extent they exceed 2% of AGI. If you can bunch these kinds of expenditures into 2017, you'll have a chance of clearing the 2%-of-AGI hurdle this year. Prepaying tax-deductible charitable donations that you would otherwise make next year can reduce your 2017 federal income tax bill. Donations charged to credit cards before year end will count as 2017 contributions, even though you won't pay the credit card bills until early next year. Your tax advisor may have other creative year-end tax planning ideas for charitably inclined taxpayers to consider. For example, if you own appreciated stock or mutual fund shares that you've held for more than a year, you might consider donating the assets to an IRS-approved charity, instead of donating cash. Doing so will allow you to claim an itemized charitable deduction for the full market value at the time of the donation and avoid any capital gains tax hit. Charitably inclined seniors (over age 70½) can also make up to $100,000 in cash donations to IRS-approved charities directly out of their IRAs. These donations — known as qualified charitable distributions (QCDs) — are tax-free. Although you can't deduct QCDs from your tax bill, they count as withdrawals for purposes of meeting the required minimum distribution (RMD) rules that apply to your traditional IRAs after age 70½. So, if you haven't yet taken your 2017 RMDs, you can arrange to take tax-free QCDs before year end in place of taxable RMDs. That way you can meet your 2017 RMD obligations in a tax-free manner while also satisfying your philanthropic goals. If you'll owe little or nothing for state and local income taxes in 2017, you can choose to instead deduct state and local general sales taxes on this year's return. You can deduct a prescribed sales tax amount from an IRS table based on where you live and other factors. However, if you've kept receipts that support a larger deduction, you can use that amount instead. For example, you might want to deduct the actual sales tax amounts for major purchases, like a vehicle, motor home, boat, plane, prefabricated mobile home, or a substantial home improvement or renovation. You can also include actual state and local general sales taxes paid for a leased motor vehicle. So purchasing or leasing an item before year end could give you a bigger sales tax deduction and cut this year's federal income tax bill. State tax deductions affected by federal tax reform. Both the House and Senate tax reform proposals would eliminate the deduction for state and local income taxes (along with the option to deduct state and local sales taxes instead) for 2018 and beyond. So, if you don't use this strategy in 2017, you'll probably lose out if tax reform legislation is enacted. If the Lifetime Learning credit is eliminated, no credit will be available for graduate school or other postsecondary education beyond the first five years of undergraduate study. So if you don't take advantage of the Lifetime credit this year, you could possibly lose out. Another tax-saving move is to consider selling securities that are currently worth less than you paid for them before year end. The resulting capital losses will offset any capital gains from earlier sales in 2017, including high-taxed short-term gains from securities that you owned for one year or less. In other words, you don't have to worry about paying a high rate on short-term gains that you've successfully sheltered with capital losses. If your capital losses exceed your capital gains, you’ll have a net capital loss for 2017. You can use it to shelter up to $3,000 of this year’s high-taxed ordinary income from such sources as salaries, bonuses and self-employment income ($1,500 if you’re married and file separately). Any excess net capital loss is carried over to 2018 and beyond until you use it up. So it won't go to waste. You can use it to shelter both future short- and long-term gains. Right now, nobody is certain whether major tax changes will be enacted or when they'll go into effect. But these strategies are worth considering regardless of whether tax reform happens. As Congress works on lower tax rates and simplifying the tax law, stay in touch with your tax advisor. He or she is monitoring tax reform developments and will help you take the most favorable path in your situation. Thank you for the tax reform planning tips. I had not thought of these as the whole deal is relatively unknown and the actual passing of tax reform could go either way, what with the GOP senate looking more like the Keystone Cops. I now have an action plan for filing 2017 taxes. I appreciate it.